Recovery process for some internally displaced communities in Nsanje and Chikwawa may slow down following growing hesitation to leave the camps and start their lives afresh. Majority of the affected people appear reluctant to return to their homes owing to alleged slow response by authorities to support them with starter packs. But Minister of Homeland Security Nicholas Dausi has insisted that it was time the people reflected on beginning their new lives since water was now subsidising. Speaking in separate interviews at Bangula Admarc and Tizola 1 camps in Nsanje and Chikwawa respectively, the people decried government’s call for their relocation, arguing it was mistimed. “We virtually lost everything in the disaster, most of us our houses collapsed to ground level. We have been on this camp since March 7 but we have only received relief items three times. “If we cannot get help while here do you earnestly think we could be considered if we leave? We are not declining to return and we cannot because that land belongs to us. It is our ancestral land, but imagine what would become of us without starter packs,” lamented Maxwell Manjolo, chairperson of Tizola 1 camp. 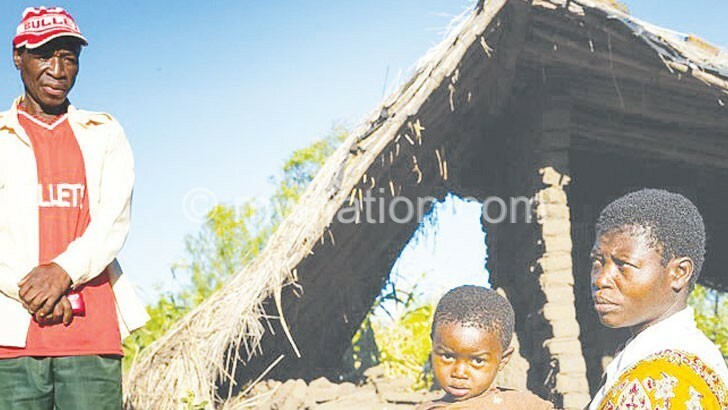 Incessant rains swept across most districts of the Southern Region with Phalombe, Nsanje and Chikwawa being the worst hit after 16 000 hectares were destroyed. About 60 people were killed and over 900 000 displaced across the region. Despite their unwillingness to move out, life of the people in camps, especially for children remains unbearable. Sanitation is the main challenge as most camps have fewer toilets and sleep in overcrowded confinements. Speaking in an interview on Wednesday, after cheering the displaced people in Nsanje and Phalombe, Dausi said the people would not remain in the camps for ever as such they must start planning for their resettlement.